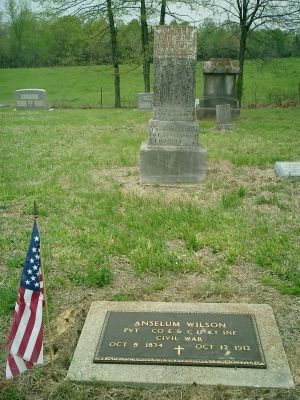 Anselum Wilson was enrolled in the 17th Infantry on October 28, 1861. 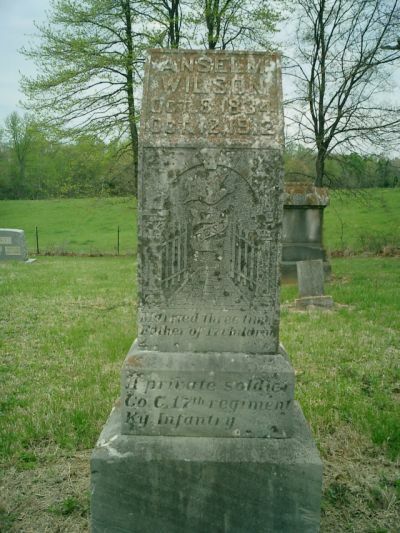 He was mustered in on January 4, 1862 at Calhoun for a three year enlistment in Company E as a private. Was transferred to Company C at Consolidation. He was appointed Wagoner on June 30th, 1863. He was discharged on Jan 23, 1865 in Louisville with his unit.